I’m down to one key. Think about it; there are very few times in your life when you are down to one key. I have no apartment or house key, no mailbox key, no grocery store mini key fobs, etc. The only thing that I have is my car key. That’s because I’m temporarily homeless. We’re caravaning from San Diego to Seattle over the next couple of days. The first leg of the trip was San Diego to Stockton. Then Stockton to Medford. Medford to Portland and finally Portland to Kirkland. We’ll get to move into our new place in Bellevue on Aug 1. I hosted our going away party on Saturday. If we had waited for someone else to host a party, there may not have been one. This is not because we’re terminally un-cool… it is because there are very few people who seem to enjoy hosting others. But I love it; I find it exhilarating and invigorating. I enjoy bringing people together. 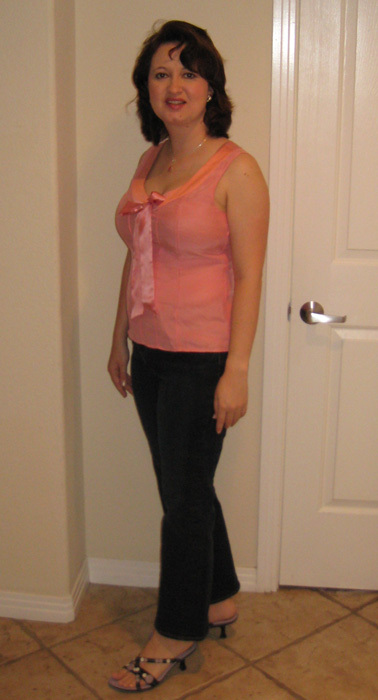 Looking back, I think that we’ve had very successful, and very interesting parties in San Diego. This is undoubtedly due to the very interesting people with whom we came in contact during our tenure here. In fact, our parties are known for being the meeting place of the an eclectic group of people. This party was no different. There are older people, younger people, people from different backgrounds with different viewpoints, there was also an early shift and a late shift. And there’s very little overlap from party to party. I can count on one hand the overlap folks who have attended multiple, and/or successive parties. It is both their loss and my gain — since we get the benefit of new blood at each party, and that enriches our conversations and experiences. I wonder how long it will be before I have enough friends and acquaintances in Seattle to throw a party in the new apartment! I am looking forward to the possibilities. 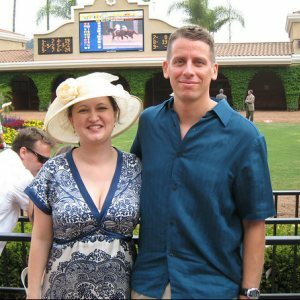 Went to the Opening Day of the Del Mar Races this year. Opening day is Hat Day, so lots of people show off their fabulous hats. Here’s the link to my photo gallery. I used to play guitar; I took lessons from the time that I was about 8 to about 16. During that time, I owned about 3 different guitars… including another Ovation (that was stolen) and a rose/pink-colored electric Gibson. Eventually, I realized that playing guitar really wasn’t my thing. I didn’t play for years. Still, I carted this beautiful guitar around and didn’t give it any love, attention, or care. Yesterday, I sold the guitar. 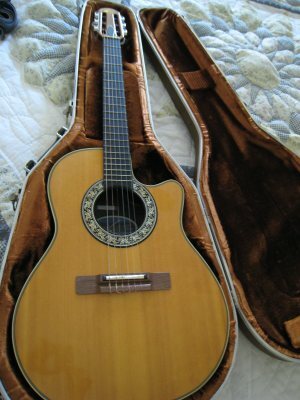 I listed the Ovation acoustic/electric (style = Country Artist, Model = 1674) on Craigslist for $400. It sold in a flash to a guy named Greg. He plays guitar a lot, and he wanted an acoustic that he could bring to the beach. I wish him and the guitar well. I am glad to see it go to an owner who will play the guitar and care for it, rather than letting it sit idle in a closet. My brother-in-law Mark Bradley was in a bad accident a few days ago… he was working on a roof and fell through a skylight. My understanding is that his skull was cracked, some ribs were broken, lungs collapsed, pelvic bone was broken, etc. In short, we’re lucky that he survived. He’s not out of the woods yet, and his recovery will no doubt be long and arduous. My heart really goes out to them, and I am wishing him well. Today, my sister asked me to help… by setting her up with a website where she can post updates rather than spending all her days calling all the family and friends with updates. Once upon a time, this might have been a big deal. But today it took less than 30 minutes. I set her up with a blogspot page, and I posted the first post. Here’s a link to the Bradley Update blog. Unfortunately, it is a little difficult to **find** the 7 points of the anti-global warming 7 Point Pledge on the Live Earth.org website. Harrumph! I’ve excerpted from this MSNBC article and reprinted them here. Demand that my country join an international treaty within the next two years that cuts global warming pollution by 90 percent in developed countries and by more than half worldwide in time for the next generation to inherit a healthy earth. Take personal action to help solve the climate crises by reducing my own C02 pollution as much as I can and offsetting the rest to become “carbon neutral”. Fight for a moratorium on the construction of any new generating facility that burns coal without the capacity to safely trap and store the C02. Work for a dramatic increase in the energy efficiency of my home, workplace, school, place of worship, and means of transportation. Fight for laws and policies that expand the use of renewable energy sources and reduce dependence on oil and coal. Plant new trees and to join with others in preserving and protecting forests. Buy from businesses and support leaders who share my commitment to solving the climate crises and building a sustainable, just and prosperous world for the 21st century. Here’s a photo of what I look like now. You are currently browsing the Lura.net Blog archives for July, 2007.